Sidney showed flashes of talent in a Vikings uniform. That or Lord Favre was just really good at football. Now, there is a name or three on that list (Burleson, Rice, and Harvin) who has made some noise in the league. Harvin is the only stud. Though, Burleson and Rice are a’ight. But, for each name on the a’ight list, there are three names who have made considerably more noise in the fast food industry slinging Big Macs. 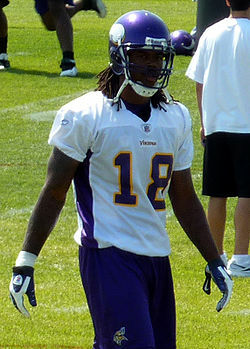 As the 2013 NFL Draft approaches, the misinformation coming out of Winter Park is that the Vikings are considering nabbing a wide receiver with the 23rd or 25th pick of the first round. In one of the deeper wide receiver drafts, with no clear cut stud, and not exactly a stellar history of scouting wide receivers, spending a first round pick on a wide receiver might not be a prudent move. Dee Milliner (CB) – Look, it is called Pipe Dream for a reason!! Milliner is the kind of corner back that will have Vikings fans saying, “Antoine who?” He is a gritty player who is not afraid to mix it up. His closing speed and smarts are perfect for a corner playing in a zone defense like the Vikings Cover 2. And, even though character has never been a motivating factor for this organization…oh…hey Chris Cook…Milliner is a humble kid who leads by example. Even if it meant trading up to do it, we do have something like 32 draft picks in the last four rounds, landing this premiere corner back would be a great start to the draft for the Vikings. Star represents a perfect fit for the Vikings with pick number 23. Top 5 talent who just needs a system where he can thrive. Kevin meet Star, Star this is Kevin. Star Lotulelei (DT) – Remember, Pipe Dream people!? Most draftniks do not have Star dropping any lower than the high teens. However, his health might be just enough of a concern for him to slide to the Vikings at 23. He is a versatile play-maker that demands a double team in the interior. Learning from a seasoned vet like Kevin Williams, a player who’s game he emulates, would be a great start to his career. His upside is that he is a Pro-Bowl level players who could anchor this defense for the next 10 years. Alec Ogletree (ILB) – The Vikings need a linebacker and Alec Ogletree is a dude. No getting around it. He fills a pressing need, the middle linebacker position, and he has the athleticism and skill to anchor the defense for years to come. He cut his chops in the SEC and presents a very low risk, high reward pick. Perhaps most importantly, Ogletree has the quickness to get to his drops in the Vikings Cover 2 system. That is something the Vikings have not had out of their middle linebacker since the early days of Ejay Henderson. D.J. Hayden (CB) – The consolation prize in the Dee Milliner sweepstakes. Hayden is a play-maker. He has the ball skills to be an elite corner back in the league. He does not have the run-stopping, drop-you-like-a-rock hitting capability, but he can mix it up when he needs to. Considering he is slotted to go in the late teens early 20s, getting him with the 23rd pick would be a nice get. Considering the quarterbacks in our division, adding another weapon in the secondary could make taking that next step a reality. 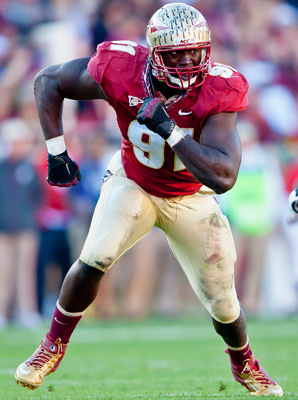 Sylvester Williams (DT) – This is the guy most “experts” have the Vikings selecting. He is a solid player. Oddly enough, the knock on him is his vertical. Evidently, he is not much of a leaper. Though, for a defensive tackle, I am not sure why that is a concern. And, even though he will turn 25 this season, he can contribute immediately and be a steady presence in the middle. He is probably never going to the Pro Bowl, but he will also not make plays that will hurt the team. Plus, like with Star, learning from a veteran like Kevin Williams will only help him in the long run. 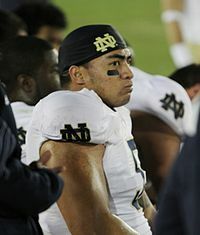 Manti Te’o (ILB) – Alright, so here we are. Resigned fate territory. Manti is a hunyuck. Either because he got cat-fished on the national stage by a dude poorly pretending to be chick or he lied about a dead girlfriend to give his Heisman candidacy a boost. Either way, hunyuck. And, he looked brutal in the Alabama game, missing assignments and failing to fill the gaps up the middle. Though, in his defense, it was not like he had anything else on his mind. Te’o has incredible, you-cannot-teach-that instincts. Sure, he might be a bit slow for a middle linebacker, but speed can be gained with good workouts and smart angles. Instincts cannot. He fills an immediate need for the team and is surrounded by former teammates (Rudolph, Smith, and Sullivan) and that atmosphere might just help everyone forget about his little romantic kerfuffle. If Manti drops, there is a pretty good chance that the Vikings scoop him up with the 25th pick. Kevin Minter (ILB) – This is the, “I guess that Manti thing was more serious than we thought” pick. 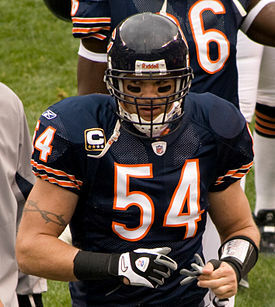 In case you forgot, the Vikings need a middle linebacker. Minter led LSU’s defense for the past three years. Not a real vocal guy, he still manages to hold others accountable. Draftniks have called him a pro’s pro. He also is a step slow, but again, has great instincts. Plus, he honed those instincts in the SEC, so the increase in speed at the next level should not phase him. Could contribute immediately and has the upside to be an elite linebacker for years to come. If I have to go resigned fate, this is the guy I want. With two picks in the first round, the Vikings need to fill some pressing holes (ILB, CB, DT, and…gulp…WR). Even though the heavy lifting usually comes in the later rounds, as the Vikings brass showed last year, if you can hit on two first round picks (Kalil and Smith), it can turn around your team right quick. Here is hoping they stick with that same winning formula. It’s the end of April and you know what that means!?! No, it doesn’t mean more snow, though Mother Nature has a menacing way of telling Punxsutawney Phil to pound sand. It’s the three-day event in which Ted Thompson makes his money. Because TT refuses to dabble in free agency, the Packers must hope to improve through this upcoming draft. And improve the Packers must. 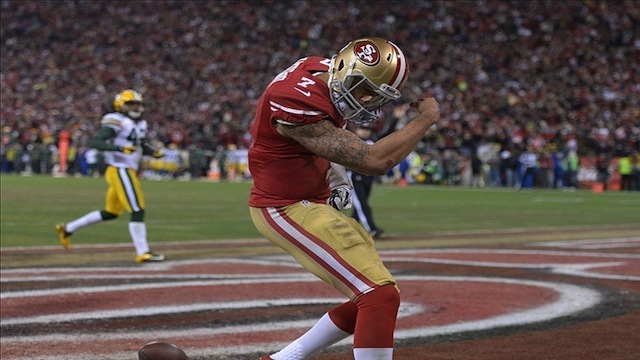 The Packers sieve-like defense created a new phenomenon: Kaepernicking. A 26-6 regular season record with back-to-back NFC North titles is a run most teams would thoroughly enjoy (I know my compadre in ‘Sota would enjoy some sustained success after being trapped in Loserville, U.S.A. for the past several years.) But after winning the Super Bowl in 2010 with a team full of players entering their prime, expectations have been high for this Packers team. And back-to-back ugly losses in the playoffs to the G-Men and 49ers has left a sour taste in most fans mouths. What the two playoffs losses have revealed is a Packers team that will be a perennial playoff team so long as Rodgers is playing, but is a team that still needs to improve – in many areas – to be a true contender. Now, this may be a tedious distinction because clearly the Packers are contenders with Rodgers. But, as built, the only way the Packers can win in the playoffs right now is if Rodgers reverts to supernatural Rodgers (playing the Vikings with Joe Webb at QB helps too). As good as Rodgers’ is, this is asking a lot. In order to become a true contender, the Packers need to get tougher, nastier. Last year, TT devoted his draft to improving the defense, with an emphasis on getting “fast-twitched” and “quick” players. But in doing so, guys up-front like Worthy and Daniels were miscast in the 3-4 and had little impact. The result is the Packers’ front-seven on defense lacks toughness and grit. 1. DE/DT – With Worthy essentially lost for this upcoming season, the Packers enter 2013 with only Mike Neal boasting any type of pass-rushing acumen out of the DE position. Yup, Mike Neal. The Packers desperately need a difference maker out of the DE position. Similarly, B.J. Raji has continued to perplex fans and coaches with his flashes of dominance surrounded by spells of invisibility. And with a looming contract, the Packers need to have a backup plan to not only spell Raji to reduce his workload, but also in case Raji bolts in free agency. 2. MLB – I don’t hold out too much hope that TT will devote a high selection on MLB after signing Brad Jones to that ridiculous contract and still retaining Mr. T-Rex, A.J. Hawk. But, the Packers need to improve its MLB play. It cannot afford to have two more seasons like Hawk just had – i.e. no forced turnovers, tackles several yards down the field, and poor coverage. Some hope Terrell Manning can become the man (poor pun intended). But, I’d love a selection like Ogletree if he is available in round 1 – a sideline-to-sideline difference maker. 3. Safety – Morgan Burnett has proven to be a reliable and ever-improving safety. But, the Packers have yet to replace Collins – which is no easy task. M.D. Jennings and McMillian played just alright when given their opportunities last season. Neither showed enough to justify not selecting a safety in this draft – even if it is a high selection. 4. Wide Receiver / Tight End – TT has always done a good job of restocking the cupboards for Rodgers. With Jennings’ departure, Driver’s departure, and JMike’s uncertain future, it’s all but a guarantee the Packers will select a WR or TE on day two. Thankfully, TT has a terrific track record in selecting a WR or TE in rounds 2 and 3: Jennings, Jordy, Cobb, Jones, and JMike. 5. Offensive Line – There is no debating that the Packers need stronger play out of the LT than what Newhouse gave them last season. But, after spending first-round picks on tackles in 2010 and 2011 in Bulaga and Sherrod, I will be surprised if TT spends another top pick on OT. Plus, with Barclay’s solid production down the stretch, the Packers have 4 OT’s that give them some flexibility if they are willing to move Bulaga to LT. And as for the inside, Lang and Sitton are signed to long-term contracts, meaning they have solidified their positions. 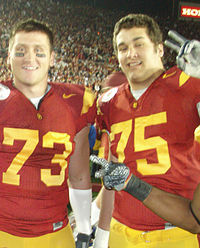 And EDS was recently signed, giving him the lead for the starting center gig. I expect the Packers to add some reinforcements in the mid- to late-rounds. As for the first round, it is hard to pin-down exactly where the Packers will go. My guess is the Packers address the defensive line with the first pick. I am drawn to the potential of Margus Hunt (DE from SMU). At 6’8″, he has a unique blend of size and speed. He was a workout warrior at the combine, but its debatable whether that translates to the field. But, the potential is intriguing enough to warrant his selection at the end of round 1. Otherwise, there is a bevy of DT’s that will be considered: Sylvester Williams (UNC), John Jenkins (Georgia), and Jonathan Hankins (OSU). I’m falling for the hype. I want Carradine in the first round! My sleeper pick is Matt Elam, the diminutive, yet fearsome Safety out of FL. He is known for being a good tackler that is willing to lay the wood. He’d fill an area of need and, again, bring that nasty temperament so desperately needed. And my dream selection is Tank Carradine. I may be falling for the media-driven hype, but this kid was an absolute beast for FSU and was a likely top-pick had he not hurt his knee in November. Where, exactly, he’d fit in the Packers system is an unknown because he’s around 270 pounds. But, many believe he can bulk up and play DE, or slim down and play OLB. In either event, he’s a tenacious, hard-nosed player that can get after the QB. Like last year, we will offer instant analysis for the Packers and Vikings selections each night and preview the next day’s rounds. And considering my prediction (kind of) of Casey Hayward last season, it’s readily apparent TT values the insight and analysis I sent him last season before the draft – or at least that’s what I tell myself. Enjoy the draft! The 2012 NFL Draft concluded in its traditional, ho-hum fashion. Because it is THE National Football League, the level of seriousness did not deviate and we as fans are led to believe that Round 7 is just as important as Round 1. The talking machine that is Mel McMortenson, Jr. tries to make the 6th round pick of cornerback Issiah Frey interesting, but, there is only so many ways to say, well, IF, everything works out, and I mean EVERYTHING (including the alignment of Mars with Saturn), this guy might be a serviceable NFL starter. All you need to do is look at our evaluation of the drafts for 2005 through 2011 to see that the “hit” rate in the later rounds is not very high. Even for a GM like TT who has his black belt in the NFL Draft. Surprisingly both the Vikings and the Packers made some moves in Rounds 4 through 7. All the moves seemed to be based on sound logic, which is a nice departure for half of the BR rivalry. The following is BR’s review of each squad’s final push in the marathon that was the 2012 NFL Draft. After taking the draft off on Friday, Schemin’ Spielman was back at it on Saturday. Who knows, maybe all the excitement of Round 1 wore him out for Rounds 2 and 3. And, maybe Josh Robinson, with a little coaching, will be the Vikes’ next great DB/PR. Though, missing out on Casey Hayward and Rueben Randle really could end up being Spielman’s only misstep in this year’s draft. Going into Rounds 4 through 7, Schemin’ had a mittful of draft picks, including 3 in Round 4, 2 in Round 5, 1 in Round 6, and 3 in Round 7. 9 picks total. Schemin’ turned those 9 picks into the following: Arkansas’ WR corps (Jarius Wright and Greg Childs), Jim Kleinsasser 2.0 (Rhett Ellison), 2013 4th round pick, the rest of Notre Dame’s secondary (Robert Blanton), 2013 6th round pick, Audie Cole, Trevor Guyton, and Blair Walsh. Overall, a pretty good haul. Wright and Childs are decent little receivers. There were two player available, defensive lineman Jared Crick and linebacker Ronnell Lewis, who might have been better talents. Plus, with Cheech Harvin firmly established as our team’s slot receiver, it is a little curious what role the Vikes envision for Wright. But, his talent is undeniable and both he and Childs could challenge for starting minutes this year. Lewis is a Jimmy Kleinsasser-type FB/TE. He will do a little bit of everything and he will do it at 160%. Good teams need players like this. So, for a 4th round pick, this is solid value. In the 5th round, Schemin’ got Detroit’s 2013 4th round pick because he found out they really wanted Tahir Whitehead. A solid trade. With one of the picks he stole from Cleveland, the Vikes drafted Robert Blanton. A versatile DB who will hopefully excel in nickel and dime packages and contribute on special teams. AGAIN, surprisingly sound logic in the 5th round. In the 6th and 7th rounds, Schemin’ got an heir apparent for Ryan Longwell, Mr. Blair Walsh (kid has an absolute rocket leg – but – the mind of a hockey goalie on Prozac); another special teams All-Star, Audie Cole; and potential platoon mate for Brian Robison (essentially, he is really good at stopping the run), Trevor Guyton. While it is unlikely any of the players drafted in Rounds 4 through 7 will be Pro Bowlers, Schemin’ did a nice job of balancing the need for solid starters/reserves while filling the coffers for next year’s draft. We will do a complete recap later in the week, but, with Schemin’ at the helm, things are definitely looking up at Winter Park. The Packers continued to be operated by TT’s evil step-brother on day 3. How else do you explain him trading UP in the draft on three separate occasions?! Whatever got in to TT is a welcome change and appears to have landed some quality players to add to the roster that had few holes to fill. With his two compensatory picks in round 4, the Packers selected DE/DT Mike Daniels from Iowa and Maine left-winger, I mean safety (thought Maine only played hockey up there) Jeron McMillian. Both players were unknown, but offer something the Packers need. 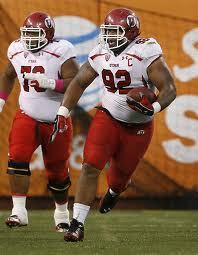 Starting with Daniels, he is undersized at only 6’0″ and 290 lbs. But, he is a quick, penetrating type DT/DE that should rotate in on passing situations. He is a hard worker and overachieving type player, the type of guy TT loves to draft. In his last two years at Iowa, he amassed 10 sacks from the DT position and was named to the second-team All Big-Ten, just behind the Packers 2nd round selection – Jerel Worthy. Although many casual draft fans may not know Daniels, it appears to be a solid selection, aimed at providing speed on the DL to get after the quarterback. Jeron McMillian is a curious pick to say the least. Safety became a huge need when the Pack announced Nick Collins would not be returning. With only Peprah, Burnett, and Jennings on the depth chart, the Packers needed to provide additional competition. But, with numerous big-school players on the board, TT went back to the small-school route (remember, Collins was from Bethune-Cookman) to find a safety. There are few fans of this pick. McMillian is athletic enough, testing out as one of the fastest safeties at the combine. But, his stats are underwhelming against inferior competition. He evidently is a willing tackler in run support and has the range with his speed. Naysayers point to his propensity to jump on play-actions. From the get-go, he should be an immediate contributor on special teams and, with good coaching, should battle for the starting safety position opposite Burnett. After these two picks, TT’s next scheduled selection was round 6. But, following his new M.O., TT traded up again with The Hoodie and reclaimed his original 5th round selection to select ILB Terrell Manning from N.C. State. Manning came out early, proclaiming he was ready. He’s 6’2″ and 237 lbs. and a solid rush defender. Manning is a physical presence that will fill out his frame more as he matures. He was graded out as a fourth-round projection, but fell to the fifth where TT jumped on him. Immediately, he will contribute on special teams and compete for added depth behind Mr. T-Rex, A.J. Hawk, and Bishop. If he had stayed in college for another season, he likely would have been drafted higher, making this selection a nice developmental pick that could pan out in the long-run. Overall, TT had a great draft, adding starters, depth, and better overall team-speed on defense. Packers fans should be thrilled with this haul. One final note from this draft, according to the NFL Draft Trade Chart, TT trade-raped The Hoodie in the two deals with him. In the first deal with The Hoodie, where TT traded his 3rd and 5th round selections for the 62nd overall selection, the difference in value was plus-116.8. And in the second deal, TT received back his 5th round selection for a 6th and two 7th round picks, the difference in value was plus-11.7. Add in the plus-31 differential in the first trade up, and you can see why TT was preaching value with all three deals. The fun of the draft is over. But, with great-to-solid selections by both BR squads, both fan bases have a newfound excitement heading into the offseason camps. Check back later in the week for a full NFC North breakdown to see how the local squads drafts stack up against the hated Bears and Motor City Kitties. For the years following the Vikings collapse in the 2009 NFC Championship game, there has been little to get excited about in terms of the Minnesota sports scene. The Lynx won the WNBA Championship last year and got a few pulses racing, but that has been about it. Minnesota fans battled through bi-lateral leg weakness and concussion like symptoms, both on the diamond (Morneau) and the ice (PMB). Then, in a seemingly meaningless game against the Washington Redskins, All-Pro/All-World running back Adrian Peterson suffered a serious knee injury. The Vikes somehow ended up winning that game and ultimately costing themselves the 2nd overall pick. That 2nd overall pick was recently turned into a bounty of quality draft picks. Ricky never looked back after leaving Europe and he made a lot of people look silly along the way. 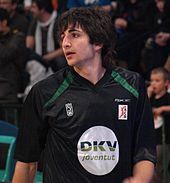 Despite all that, the arrival of Ricky Rubio changed everything. Suddenly there was something to pay attention to night in and night out. The Wolves were regular contributors to ESPN’s Top 10 because of Rubio’s artistry with a basketball. Not only was Rubio fun to watch, but, with time, the Wolves made a push for the Western Conference playoffs. They strung together wins, both at home and on the road, against quality opponents. Then, while attempting to make the fundamental basketball play we have come to expect from him, Ricky blew out his knee trying to take a charge against the Black Mamba. Like we needed another reason to hate Kobe. As Rubio limped around the court, you could just feel the season’s momentum evaporating. A savvy local team could have filled this void. A few teams had a chance to bring some excitement to their respective fan bases. The Vikings were in the middle of free agency. The Twins were wrapping up free agency and about to begin spring training. And lastly, the Wolves were nearing the NBA trade deadline with pieces to move. The Vikings have actually done less than nothing when it comes to free agency. Let me explain. They cut veteran influences like Steve Hutchinson and failed to replace that talent with anything resembling a sought-after talent. In fact, not only were the Vikings not signing anyone to get the pulse racing (apologies to John Carlson’s mom — an average NFL TE coming off an injury does not count), but, they actually refrained from being involved in the discussion. Seemingly all the big name free agents that would have excited fans and improved the squad, never seemed to be courted by the Winter Park brain trust. This is even more peculiar considering the fact that said brain trust is holding the people of Minnesota hostage for a new stadium to the tune of $550 million. Any time Ryan Doumit is one of your squad's major off-season acquisitions, you are rebuilding, not reloading. Going into spring training, the Twins were reporting with recent signees Jamey Carrol, Ryan Doumit, and Jason Marquis. Is there even any need to explain how much of snoozer it must be down in Fort Meyers right now? Through the first week of spring training games, the whole roster, including minor leaguers, beer vendors, and ardent white-haired super fans, had one, no, seriously, one, extra base hit. The only thing marquee about the Twins free agent signings is the fact that one of guys’ last names is a punny play on words. After 99 losses last season and with all this stadium generated revenue, punny is not going to it. 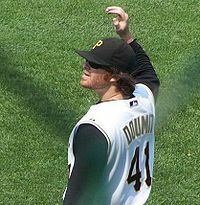 Aren’t we past trying to dress up average major leaguers as these diamond-in-the-rough finds? Making your way east a few blocks to the Target Center, you will find Wolves GM David Kahn working furiously on finishing his first Level 2 sudoku puzzle. Other teams are calling the Wolves about their multiple trade pieces: Michael Beasley and Luke Ridnour. But, don’t worry, Kahn is not going to take the bait. Full fairness in savagery, the Wolves were at least mentioned in trying to flip Ridnour or Beasley into Jamal Crawford (who, by the way, would have been a great fit on this squad). Though, considering both the principals in that deal, Portland and L.A., made moves for players who were not as good as the Wolves pieces, you have to think the sudoku got in the way. Ultimately, it has been eerily quiet since Rubio’s anterior cruciate ligament decided to take a vacation. One can only hope that both he and AP are able to fully recover and return to inspire their respective squads. Considering the current state of affairs, we should hope for good weather this summer, at least then we can take advantage Minnesota’s remaining recreational gems: the golf courses. 2011 was a difficult year to be a Vikings fan. But, like any rube cheering for the local squad, hope springs eternal and the upcoming NFL Draft is just the remedy that is needed to facilitate forgetting last season. Whether it is the hope of that impact rookie being drafted or the wheeling and dealing that strengthens the draft of the future, the NFL Draft is one part lottery, one part shrewd evaluation, and all parts exciting. 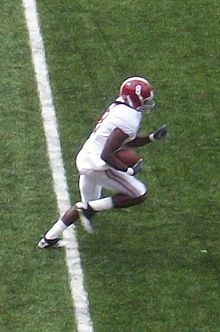 Jones' considerable skills were nearly always on display while dominating SEC defenses. This year’s NFL Draft poses an especially interesting conundrum for the Vikes’ management group. Last year, the Cleveland Browns capitalized on the Atlanta Falcons’ desire to get an impact WR, trading their Top 10 pick, which was used to draft Julio Jones, for basically all of Atlanta’s draft. This was actually one of those rare deals that seemed to work for both squads. The Falcons got the game changing wideout to complement Pro Bowler Roddy White and the Browns got the mess of draft picks needed to continue rebuilding. Fast forward to this year’s draft, the Vikes hold the valuable Number 3 pick overall. Most analysts agree that future Hall-of-Famer Andrew Luck is going first. From there, it gets really interesting, really quickly. You see, the Number 2 pick on most boards is behemoth LT, Matt Kalil. This guy’s pedigree is more pristine than that little footstool that won this year’s Westminster dog show. His older brother is an All Pro C for the Cam-o-lina Panthers. He was a consensus All-American at USC, the perennial hotbed for impact NFL rookies. The St. Louis Rams hold the Number 2 pick and have drafted offensive linemen in two of the last three drafts. It seems unlikely that the Rams would select another linemen as their fan base is desperate for a talented skill position player. Many think that OSU pass-Hoovering WR Justin Blackmon will go to St. Louis. That scenario would put the Vikings in a very difficult spot. Do they draft the “sure-thing” LT that could be the cornerstone of their offensive line and hope to improve the league’s worst secondary via free agency and the later rounds of the draft? Or, do the Vikes adopt the Browns’ strategy and trade the Number 3 pick to the team that wants to ensure they can secure the talents of multi-tool QB, Robert Griffin III. RG3 is a hot commodity right now. There are multiple teams that are said to be interested in acquiring his services. If the Vikes can acquire multiple pieces and fill multiple needs, aren’t they better off moving the pick? This fan says no. Todays game requires exceptional QB play. Exceptional offensive line play is the first step in achieving that level of QB play, unless your QB has the last name Brees, Brady, Manning, or, [unfortunately] Rodgers. The Vikings offensive line was offensive this year. Nearly every player took a step back from the year before. This guy's bloodlines would make the child of two Olympians blush. As if that was not enough of a reason to draft Mount Kalil, the Vikes also happen to have a Hall of Fame RB who will be coming off knee surgery and would likely do much better with a road grader like Kalil plowing the road in front of him. With Mount Kalil in purple, it is easy to see All Day bursting into the second level with only the wreckage from Kalil behind him. While it may be tempting to off load their pick for a wealth of future picks, the Vikings should pass. Do the right thing. Secure their line of the future and take Mount Kalil. If nothing else, we might finally get a chance to see what we have with our first round pick from last year, Christian Ponder. After all, even though Rome was not built in a day, with Kalil acting as the muscle to the development, there is a really good chance the Purple return to prominence sooner than later.